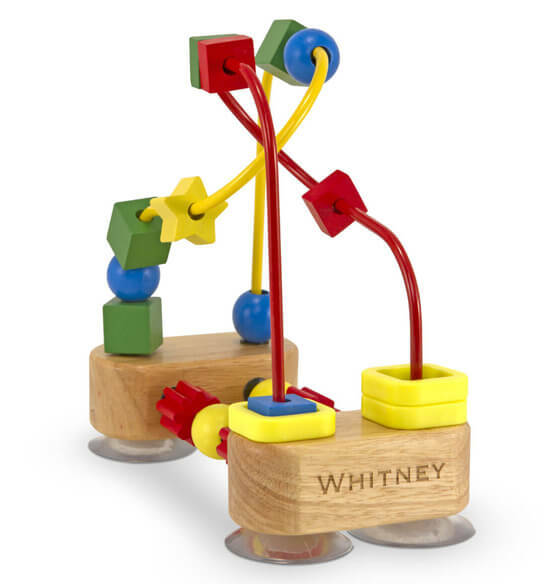 Sitting in a high chair is much more fun with this fantastic Melissa & Doug® Personalized First Bead Maze, featuring brightly colored, multi-shaped beads that spin and slide along red and yellow wire pathways anchored by a strong suction cup base. 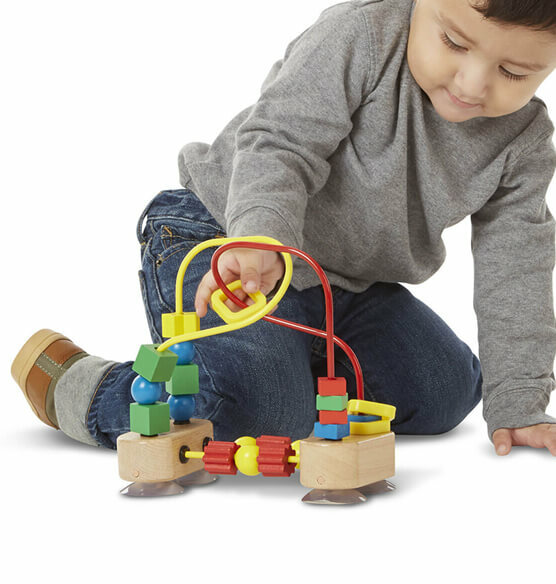 Children's toy encourages color recognition, hand-eye coordination, and fine motor development through play! Express shipping not available. Please allow 2-3 weeks for delivery.